Sizes: up to 100mm (4") and up to 150mm (6"). 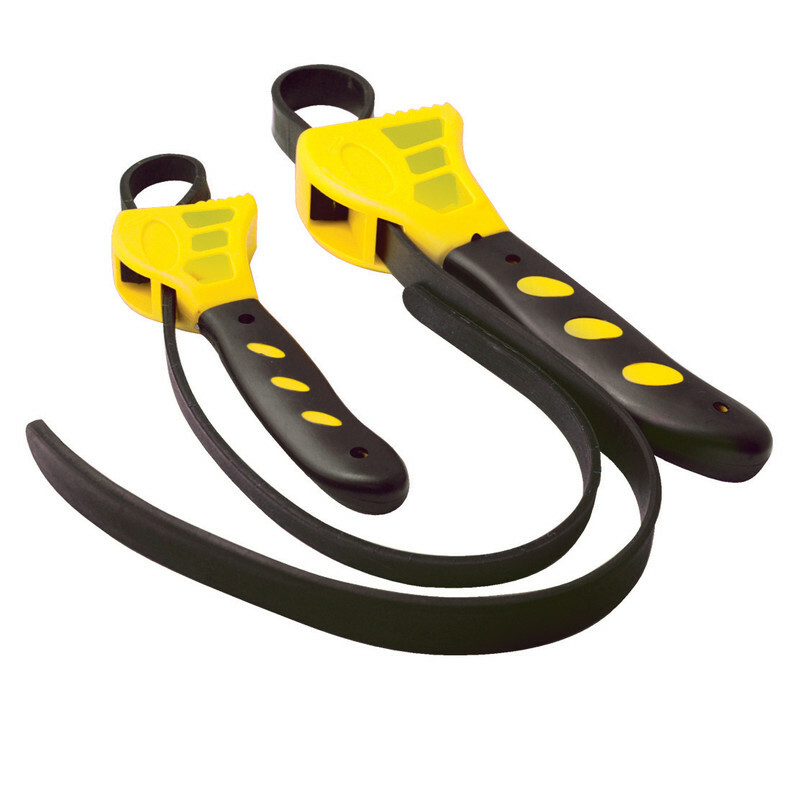 Strap Wrench Set (2 Piece) is rated 3.8 out of 5 by 16. Rated 5 out of 5 by SimEng from What a wrench! I used this wrench within 5 minutes of purchasing it to remove and install 5 different size oil filters and can't fault it, what a wrench. 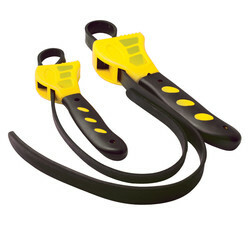 It's light weight but sturdy and easy to use, rubber grips very well and great value for money. 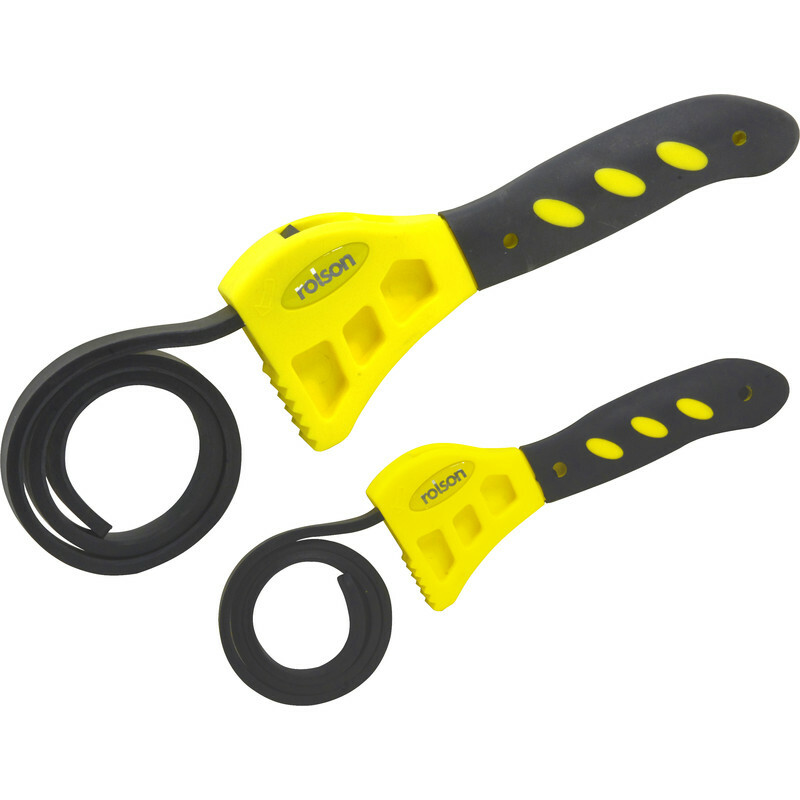 Rated 5 out of 5 by DaveSt from Great value These seem tougher than others than I have bought from other manufacturer; the rubber is thicker, with less stretch, allowing a firmer grip on the object to be removed. The two sizes improves versatility. I used one to hold the siphon of a shower trap whilst loosening the screw in top part. Rated 4 out of 5 by Keef68 from worked a treat Needed to replace bulb in cooker.The smaller of the 2 units soon had off the light cover--job done. As only used once I have no idea yet of durability,but they seem quite sturdy. Rated 5 out of 5 by EwanH from Good wrench ideal to grip round pipe fittings I bought this to undo a tight ubend connection and it worked perfectly. I cannot comment about longevity but it did the job for me. Rated 1 out of 5 by Simonh from Broke first time of use.. Lasted 2 seconds, doesn’t grip well and broke, we send back for refund. Rated 4 out of 5 by SDCad from Did the job I bought this to loosen the cover on a tap. It did the job exactly as I hoped. I can think of occasions when a smaller version could be useful. Rated 4 out of 5 by TimA from Actually got Draper tools Surprised but happy to get Draper, not the brand shown, on collection. Not used much yet so can't comment on durability but seem v good quality.